Confusion and annoyance marked the tone of the second open forum about the PSFA closure on April 8, as former building occupants grappled with news that the building will remain closed until at least June 1. 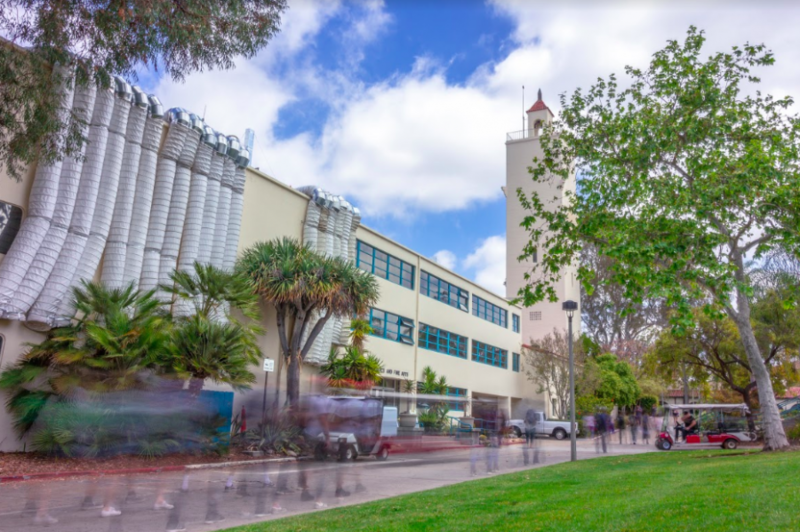 The building was initially closed on March 13 after faculty members complained that odors from a roof construction project caused them to fall ill, but it was expected to reopen on April 9. The news of the building’s extended closure came in the form of an executive decision by President Adela de la Torre at the end of a separate open forum over spring break. While most of the forum’s attendees left satisfied with the president’s action, new problems came up once they were forced to consider the reality of an extended closure. Researchers from the School of Exercise and Nutritional Sciences said a June 1 reopening threatens their work, as they had been given a grant to do research that has been put on hold since at least Dec. 15 because of the construction issues in PSFA. Many faculty members who work in the building had their operations relocated starting on March 4, but the researchers said moving all their equipment from the multiple labs they have in PSFA would be near impossible. But, these researchers were among the only ones who voiced opposition to the extended closure. Many attendees said they were happy to stay out of the building, but that renovations to PSFA are long overdue as it is one of the older structures on campus. “Given there’s been this huge investment and what sounds like a continued investment to move us out, this seems like the prime time to get in an redo the heating, the air, the HVAC, the plumbing (and) the sewer smells,” Assistant Dean for Student Affairs Alaine Lockwood said. The forum also featured a change in wording, as Administration Associate Vice President Jessica Rentto repeatedly referred to the university’s communication about the odors in PSFA as a “failure.” Rentto said the university was first notified of the odors on Jan. 29, but the first campus-wide email regarding the issue was not sent until March 11. During this time, classes continued in the building. Rentto has also repeatedly told the audience to go through the worker’s compensation process if they had any negative health effects from being in the building. But, Executive Assistant to the PSFA dean Belinda Vasquez said she attempted to utilize worker’s compensation for symptoms including headaches and blurry vision and that they could not help her. The April 8 forum, which partially filled the theatre in the student union, had a different tone from the April 3 forum over spring break. Over 75 attendees were present at the first forum when the meeting quickly ran into problems. Joel Berman, the vice president of environmental consulting firm Health Science Associates who was brought in as an outside expert, told the audience there was nothing in PSFA that would have threatened the health of occupants. This answer was infuriating to audience members who said they’ve faced negative health effects even since they left the building. Tensions were exemplified when Berman made a comment prefaced with “Not to be sexist, but…” then made reference to comedian Jeff Foxworthy. Later in the meeting, Rodriguez spoke up saying the comment was sexist and appalling. Berman was not present at the second open forum on April 8.